The forecast for today was for another sunny day before a change tomorrow. There was little cloud cover overnight and we awoke to a cold morning. 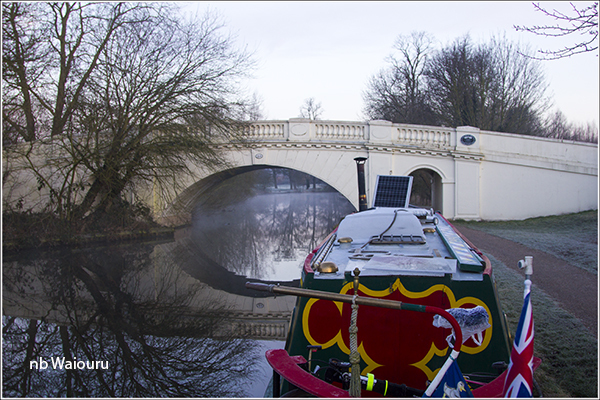 The surface of the canal had a layer of mist waiting to be driven away by the expected sun. The above photo has been digitally enhanced and now doesn’t give a true impression of the amount of swirling mist. The adjacent field was white with frost. The outside of Waiouru was also covered with frost. 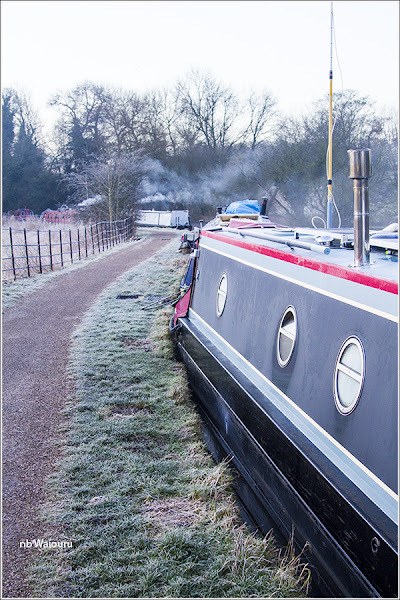 However if you look closely at the photo below you might observe the frost has gone from around one of the portholes. This is the toilet porthole and is always left open. Consequentially heat from inside escapes through it. The same happens with the mushroom vents on the roof and the side hatches. The latter are only single glazed. 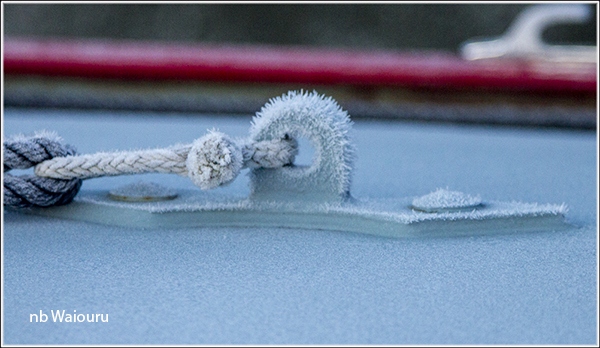 A close-up photo of the roof centreline anchor point provides a good indication of the severity of the frost. 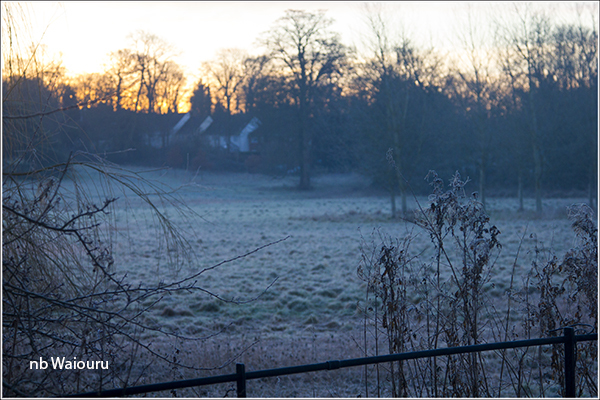 An hour later the sun had driven away the frost and mist. Contrast the following photo with the first above. 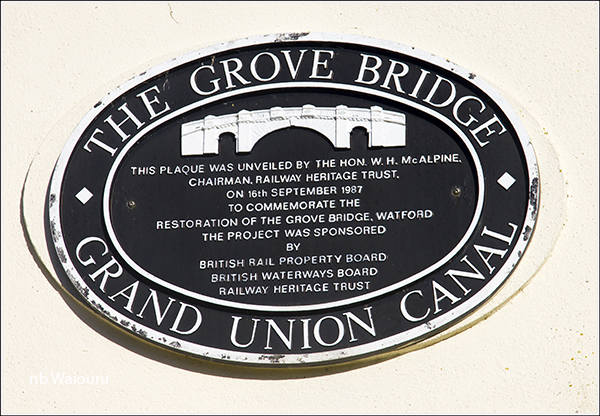 There is a large oval plaque on The Grove Bridge in the above photo. 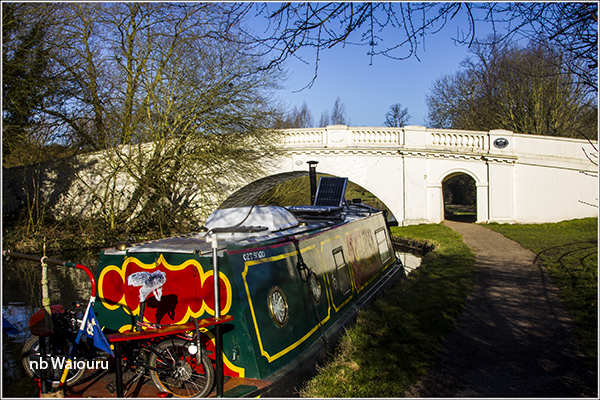 I wondered why there were two references to the rail industry when the bridge spans a canal. Further reading revealed the nearby Grove Hotel was the HQ of one of the four major rail companies during WW2. For a period after the war it was a management training centre for British Rail. I've been on many British Rail training courses at the Grove.